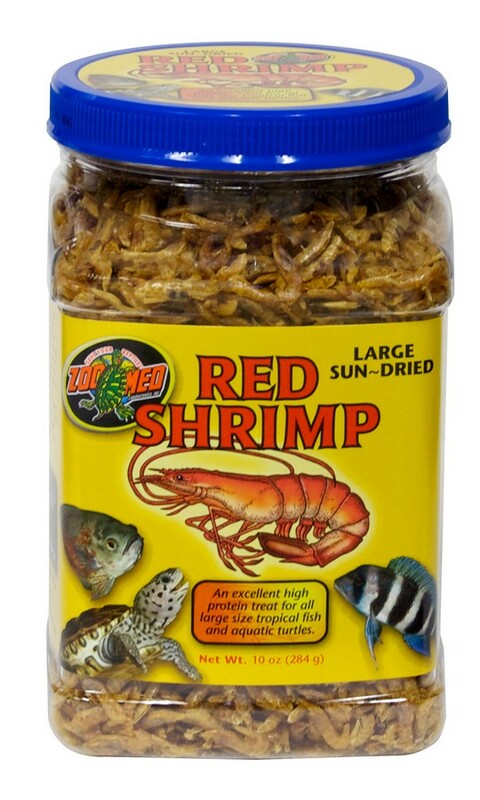 Red Shrimp | Zoo Med Laboratories, Inc. 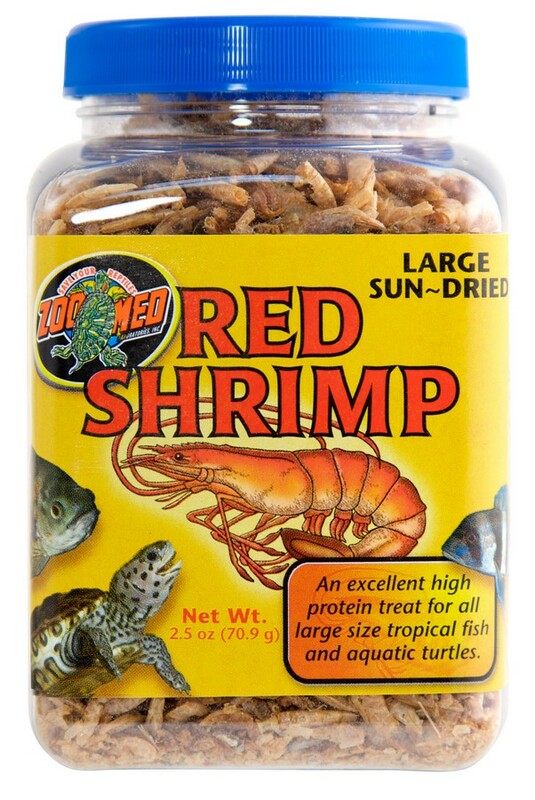 Zoo Med’s Large Sun-Dried Red Shrimp are an excellent high-quality, protein rich food ideal for large aquatic turtles and large size freshwater or marine aquarium fish and invertebrates. Fish and turtles typically show an increase in weight and vigor within only a few days of feeding. 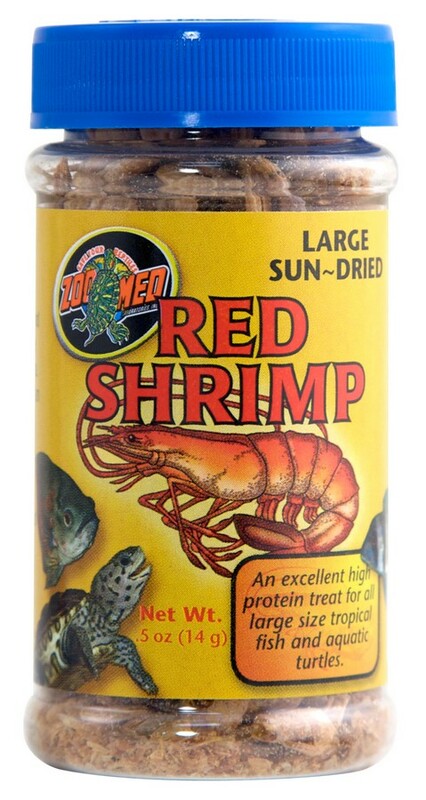 Whether used as a staple food or an occasional treat, Zoo Med’s Sun-Dried Red Shrimp provide a nutritional boost to any feeding regimen.